Are you a Mindful Traveller? In response to increasing concern about the environmental state of the planet many tourists are opting for holidays that give a little back. So much so that the words “sustainable” and “responsible” have become buzzwords in tourism in recent years, right up there with “eco-friendly” as the newest thing to strive for. So what exactly is sustainable tourism and how are resorts trying to blend sustainability with comfort? Have you tried these dishes in Thailand? Food in Thailand is more than just Pad Thai, Som Tam and spicy Tom Yum. There is so much more to explore in this glorious food destination. With its perfect balance of sweet, salty, sour, bitter and spicy Thai food is not just easy on the palate but also on the pocket. But with so many mystery meats, crazy colours and unpronounceable names, it can get hard to pick which dish to spend your baht on. Fret no more, we’ve made it easy for you. Book a Thailand Tour Package to try these 10 Thai delicacies. Walking the streets endlessly for hours watching locals and ex pats going about their business never felt so good. But what I loved most about Hong Kong is the vibe — throbbing and pulsating with energy. For someone who loves the city life, it’s infectious and addictive. To get an up close look at life in the charming city, hop on board the Star Ferry. For just 3HKD you will be treated to one of the most scenic boat rides in the world. The boat ferries passengers from Hong Kong Island to Kowloon and back. The Victoria Harbour also happens to the most photographed harbours in the world. So be armed with your cameras. The best time to ride it is in the evenings. It’s quite astonishing to find an escalator (the world’s longest outdoor covered escalator) cutting through the hustle bustle of the city. The Life spills over on to the streets on both sides of the 2624 ft escalator. They only move in one direction, and go with rush hour — in the mornings they go down, and in the evenings they go up. It’s not only a touristy must-do, but very practical too. Lan Kwai Fong is where you head to paint the town red. The atmosphere saddles from stylish wine clubs, sedate cafes and raucous sports bars. The area comes alive at night when the action spills on to the streets. Even if you are not a party animal, LKF is a great place for people watching. Strolling along Tsim Sha Tsui Promenade is one of the best ways to see the beautiful views of the Hong Kong skyline and bustling Victoria Harbour. This amazing city is a melting pot of food, culture and fun just waiting to be discovered. My shoes were collected and stowed away the moment I stepped into the luxurious speed boat that came to pick me up at the airport. Gili Lankanfushi has a ‘No News No Shoes,’ policy. They were returned to me only when I left the resort for my flight back to India! I love the rain. It’s my favourite weather. The smell of wet soil just when it begins to rain is not only sweet, but brings new hope and makes you look forward to the rainbow and sunshine. So when life throws you a rainy day, play in the puddles! Or better still head to Aamby Valley a picturesque resort nestled amidst mountains and lakes, just 23 km from Lonavala. A visit to this scenic and mammoth resort was long overdue and thanks to Food bloggers Association of India (FBAI), it finally happened last month. So here’s a first person account of the five things you ought to do at Aamby Valley. It’s true that there are book streets all over India but none rivals the ambiance of the one in Mumbai. Nestled against the backdrop of beautiful Victorian buildings and tall peepal trees the book street in Mumbai is where Vikram Seth jostles for space with William Shakespeare. Who knows what you could find here? As much as I love music, I hate concerts. It’s just such a messy affair with sweaty people jumping and dancing in open pavilions. I would rather walk, go running, or sit in the back seat of a car listening to my favourite bands than see them in concert. And that’s the reason I passed on the opportunity to be a part of Sula Fest for the last couple of years. After a four hour bus ride from Mumbai and a quick shower we headed straight to the fest and to the job – wine tasting. Yes I know the age-old rule about drinking (one that everyone knows and most people have broken) always fill up on food before filling up on alcohol. But food surfaced just before the second round of tastings. I particularly enjoyed the Brut Tropicale in an attractive digital psychedelic bottle covered in riotous paisleys. Made with premium black grapes including PinotNoir the sparkling wine is fresh, fruity and very palatable. The Riesling, limited edition Rasa Shiraz and Rasa Cabernet were all washed down with the very delish goat cheese made by chef Morgan Rainforth of the popular SOLEIL by La Plage. There were loads of special tours and tastings for all the wine enthusiasts. Hardys, Asahi Super Dry Beer, Cointreau, Grant’s Whiskey, Jägermeister, Jack Daniel’s Old No.7 Tennessee Whiskey and Stolichnaya Vodka ensure no one went thirsty! What piqued my interest the most was the wine and ice-cream pairing. Adaptability is a positive quality, so I said – let’s break some rules. According to dessert and wine pairing guidelines, the wine should be sweeter than the dessert, or else the wine may come across as flat. The other element to consider is acidity. Most wines are inherently acidic. London Dairy paired five of their ice-creams with some sula best sellers. While I am not sure if the pairing worked for ME but the mango sorbet from London Dairy is just divine. The music line-up included The Cat Empire from Australia who made their India debut with songs from their soon to be released album ‘Rising with the Sun’! Sunday saw Kailash Kher perform two songs from his soon to be released album – Kailasa Ishq Anokha. The Atmasphere stage in the midst of the vineyard had DJs spinning some incredible underground music. Fast fashion brand VERO MODA launched its spring summer collection 2016 at the fest. Anushka Manchanda gave the audience an fashionable performance as a showstopper. Any wine festivals you have attended? What was your experience? Instead of gobbling up the cheap airfares and hotel rooms and spending time, energy and money on a vacation to a faraway place, try staying home, or close to home, and give yourself a much needed staycation. A staycation is a holiday or vacation time when you stay and relax at home and explore nearby areas of entertainment and recreation. Though the concept achieved popularity in the US during the Great Recession and in the UK due to the weak Pound which made overseas holidays more expensive, it finds resonance even today with those short on time and reeling under ever increasing cost of living. Unwinding minus the stress is the central theory behind a staycation. 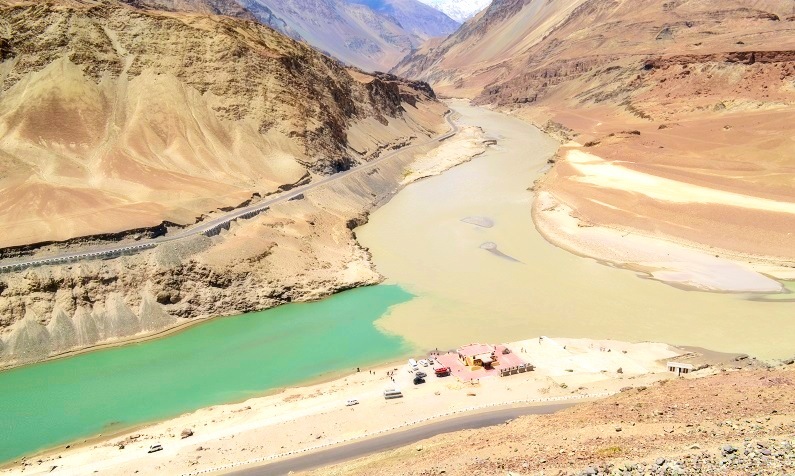 I have seen many rivers but never the merging of two rivers – Indus and the Zanskar. The confluence of these two rivers is distinctive in the colours (dark brown of Zangsar and white of the Indus). They come together and flow towards Pakistan. If you are the adventurous sorts you could even go river rafting here. The 32 meters tall golden Buddha statue is both awe-inspiring and humbling. 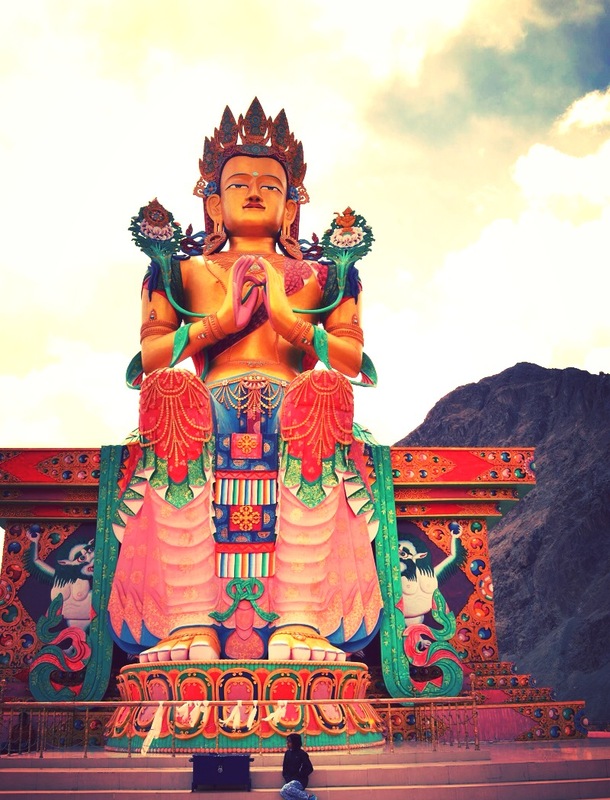 The other monasteries worth spending time are Hemis, Thikse, Spitok and Shey. Just close your eyes and sit at the Buddha feet. Peace comes naturally. Riding a camel was a first for me (leave alone the double humped one). The gentle souls decorated with embroidered patches just glide across the dessert. While here don’t miss the wild horses, mountain dogs and goats. 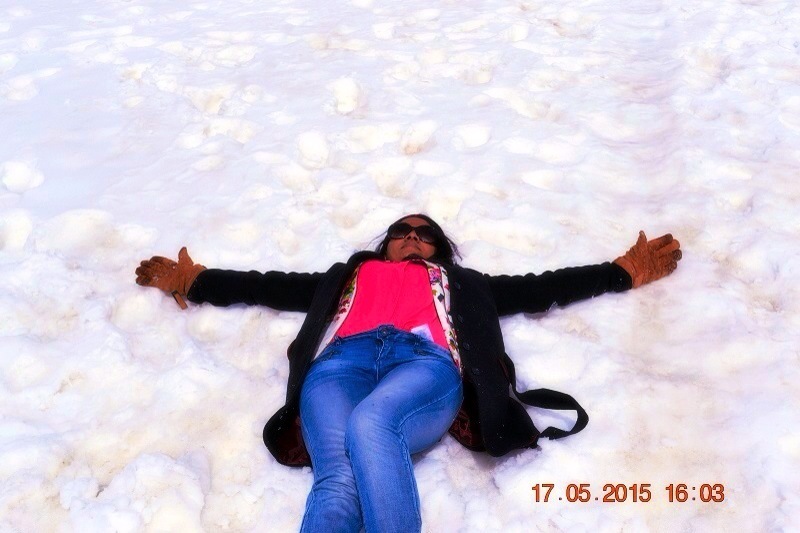 I had seen snow before but what I saw in Leh just amazed me – powdery, fluffy and pristine. As cheesy as it sounds I jumped out of the car to pluck icicles hanging off the mountains and face the snowflakes flying in the air. I learnt to speed down the mountain and attack unsuspecting tourists with snow bombs. For someone who spent her childhood throwing styrofoam bits in the air and pretending to be under a snowfall, this was magical. Remember the postcards we collected as kids of blue lakes and brown mountains? 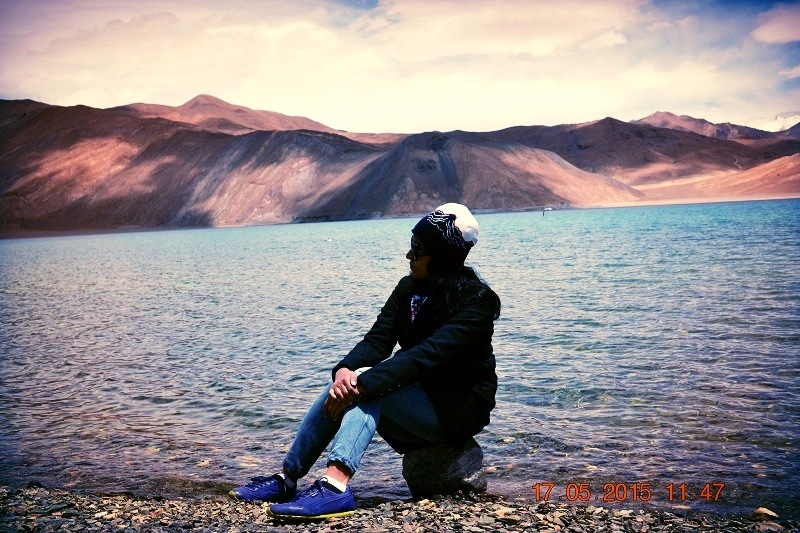 Pangong is simply that. Sit by the river and you could even spot rare migratory birds like the Black necked Siberian. Sixty per cent of the lake lies in China and the rest in India. Lake freezes completely in the winter even though it is a salt water lake. At an altitude of 5359 meters it truly feels like on top of the world. 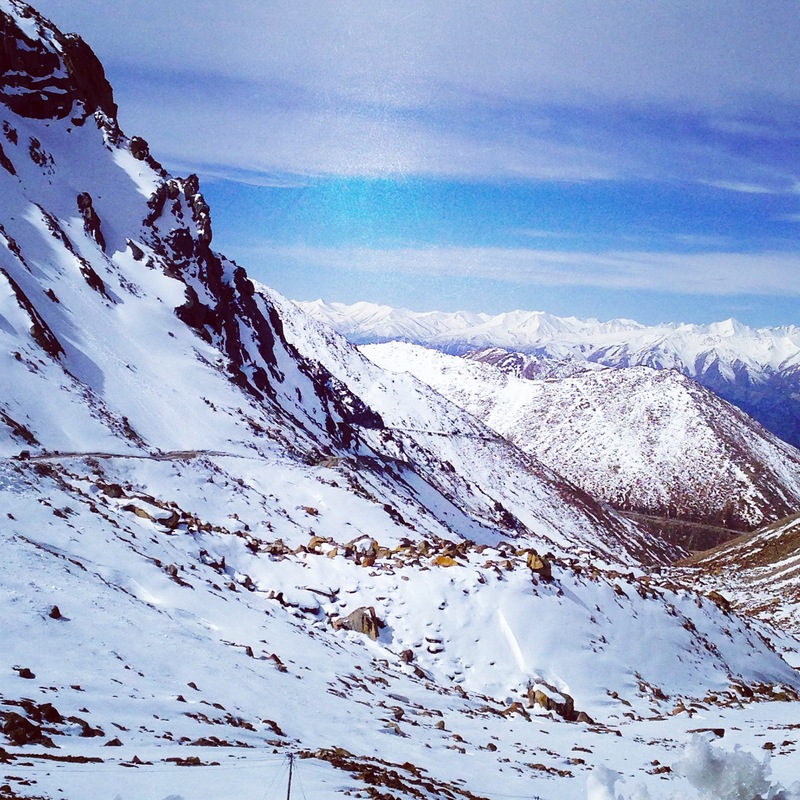 The drive itself to this second highest motorable road in the world is scenic with snow capped mountains and valleys. Don’t forget to get off the car to feel the chill breeze on your face and some steaming hot chai. Ladakhi food is blend of Tibetan, Indian and Continental. 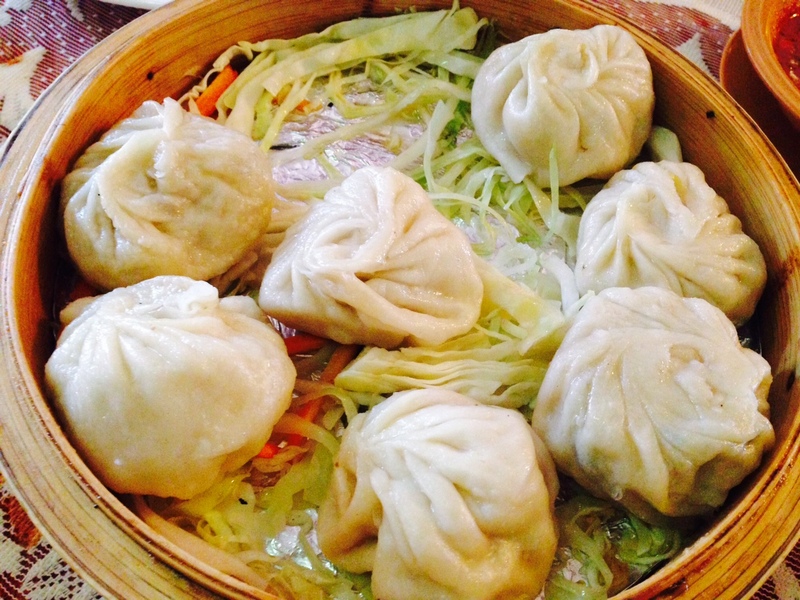 Summer Harvest at Leh market has the best momos. They also do a decent Chinese fare. 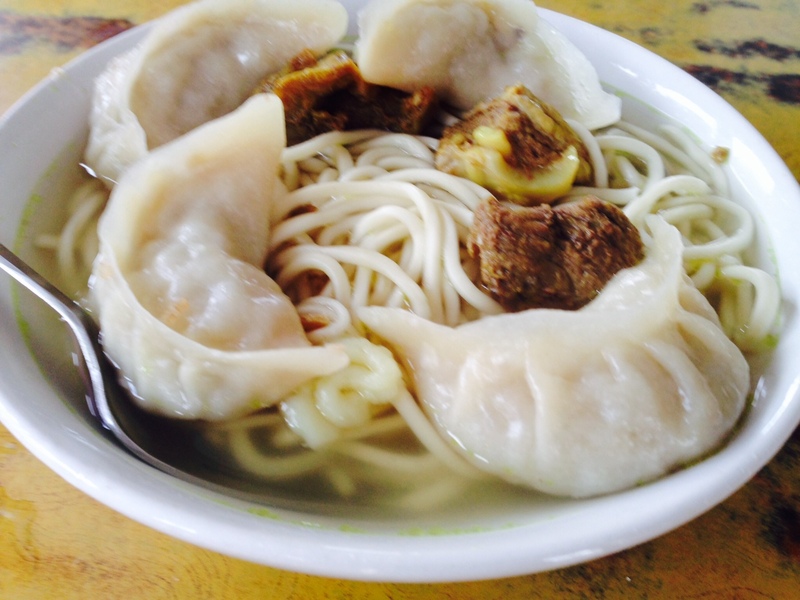 Try the regional speciality – thupka a soup of vegetables and noodles. I always wondered what the fuss about Pashmina Shawl was all about until I held it in my hand – beautiful, warm and soft enough to fit into a handbag. 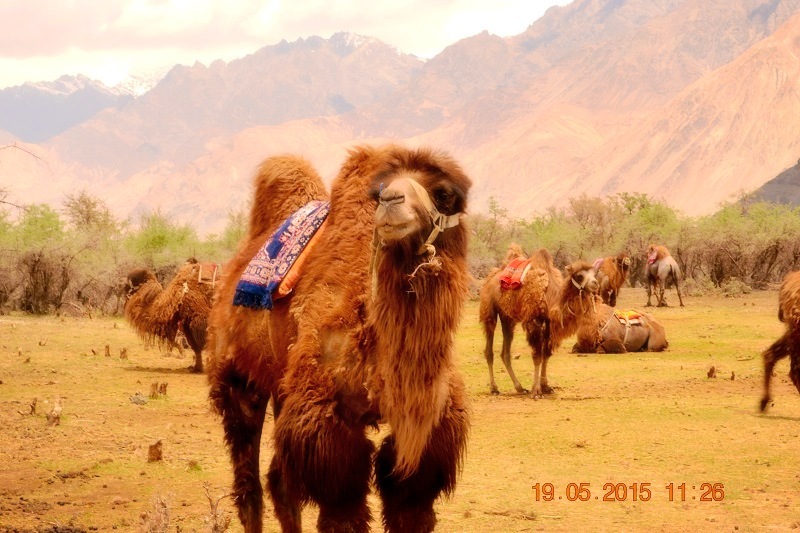 The Leh market is the best place to pick up a genuine pashmina along with semi precious stones and tribal jewellery. Bargain hard. 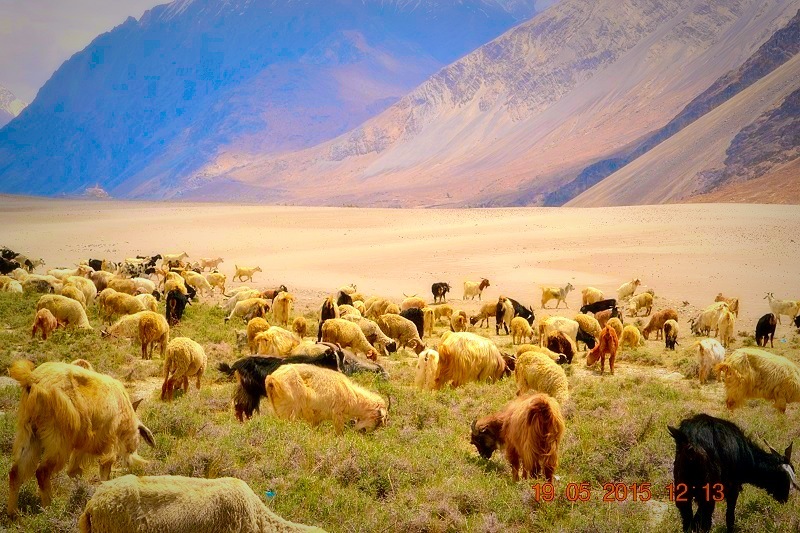 Have you been to Leh? Do write in with your experiences.